We recently conducted proprietary research with more than 400 technology decision-makers in North America, across 13 industries – including Government & Public Safety. Most leaders say it's riskier to adopt technologies too late rather than too soon. Though those in Government & Public Safety share the inclination toward early adoption, budgets and regulatory issues sometimes hamper those efforts. 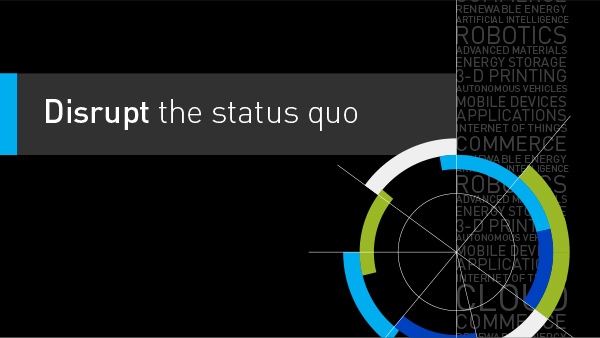 Download our study to see the full impact of disruptive technologies in your sector. You'll read how some organizations are already using technology to disrupt barriers like traffic congestion, energy costs and worker inefficiencies, and how they plan to make cities safer and more sustainable.